# 1 New York Times and # 1 International Bestselling author Jennifer lives in Charles Town, West Virginia. All the rumors youve heard about her state arent true. When shes not hard at work writing. she spends her time reading, watching really bad zombie movies, pretending to write, hanging out with her husband and her Jack Russell Loki. In early 2015, Jennifer was diagnosed with retinitis pigmentosa, a group of rare genetic disorders that involve a breakdown and death of cells in the retina, eventually resulting in loss of vision, among other complications. Due to this diagnosis, educating people on the varying degrees of blindness has become of passion of hers, right alongside writing, which she plans to do as long as she can. Her dreams of becoming an author started in algebra class, where she spent most of her time writing short stories.which explains her dismal grades in math. Jennifer writes young adult paranormal, science fiction, fantasy, and contemporary romance. She is published with Tor, HarperCollins Avon and William Morrow, Entangled Teen and Brazen, Disney/Hyperion and Harlequin Teen. Her Wicked Series has been optioned by PassionFlix. Jennifer has won numerous awards, including the 2013 Reviewers Choice Award for Wait for You, the 2015 Editors Pick for Fall With Me, and the 2014/2015 Moerser-Jugendbuch- Jury award for Obsidian. Her young adult romantic suspense novel DONT LOOK BACK was a 2014 nominated Best in Young Adult Fiction by YALSA. Her adult romantic suspense novel TILL DEATH was a Amazon Editors Pick and iBook Book of the Month. Her young adult contemporary THE PROBLEM WITH FOREVER is a 2017 RITA Award Winner in Young Adult Fiction. 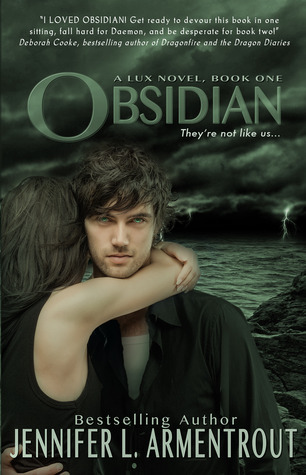 She also writes Adult and New Adult contemporary and paranormal romance under the name J. Lynn. She is published by Entangled Brazen and HarperCollins.